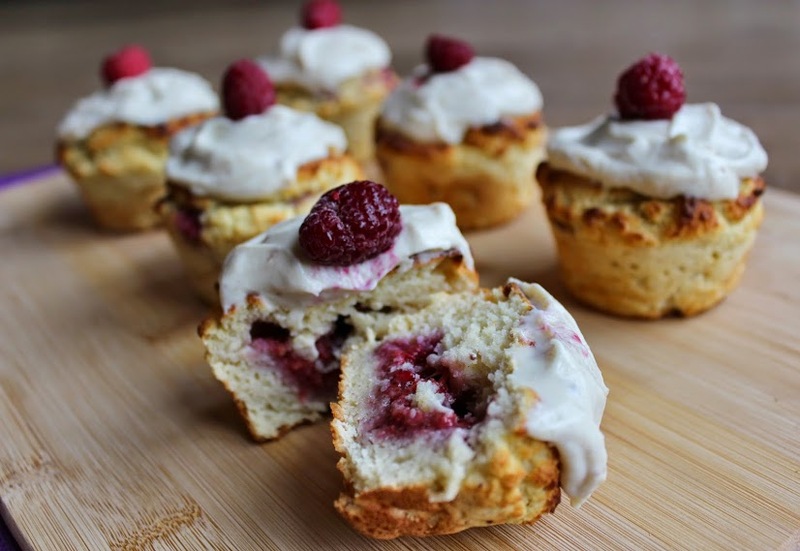 Moist, vanilla and lemon infused muffins with a cheeky berry surprise in the middle…HELLO! 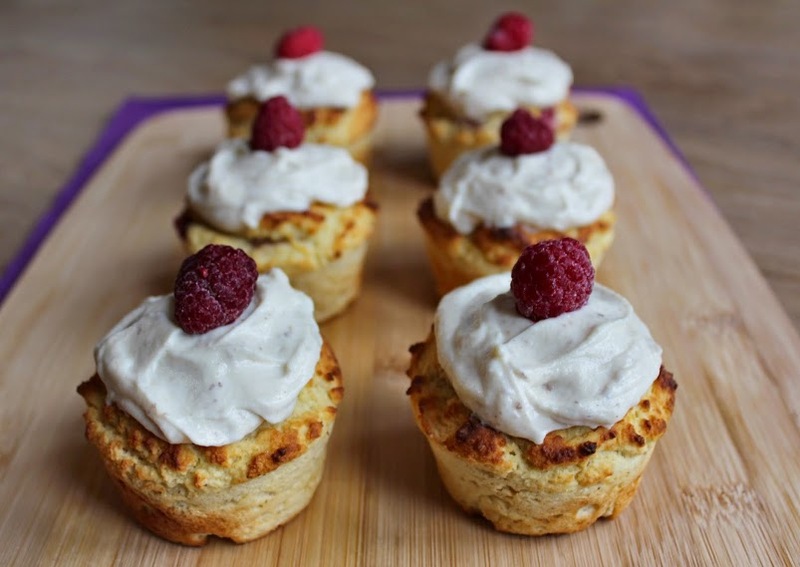 Not only are these absolutely delicious, but you can be assured they are made from totally clean ingredients, are gluten-free, are very low in sugar thanks to using Truvia natural sweetener (stevia) and are packed with protein. Ideal for impressing family and friends, it may be a challenge to not eat the whole batch yourself! Preheat the oven to 190 degrees C and lightly grease a 6-hole silicone muffin tin (or a tin one, but silicone ideally!). Put the flours, baking powder, Truvia and whey protein in a large bowl and mix well. In a blender, whizz up the cooked apples, eggs, yogurt and vanilla until smooth. Pour this into the dry ingredients along with the lemon rind and carefully fold in without overmixing. You should have a thick, smooth batter – add a little milk if too dry or still. Spoon some mixture into each of the muffin tins up to half way then smooth out. 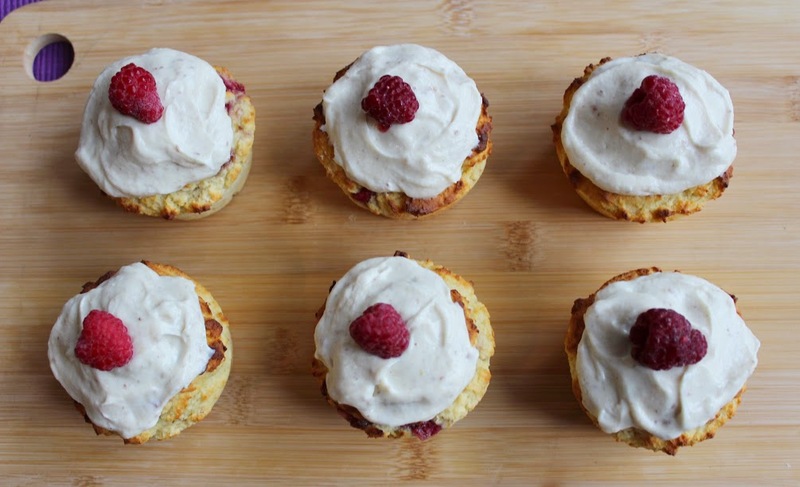 Mix together the jams and crushed raspberries so you have a spread. Add about a teaspoonful into the middle of each, then top with more of the muffin mixture to cover and reach the top. Bake for about 15-20 minutes until golden, risen and firm to the touch. Leave in the tin for 10 minutes, then turn out onto a wire rack to cool completely. 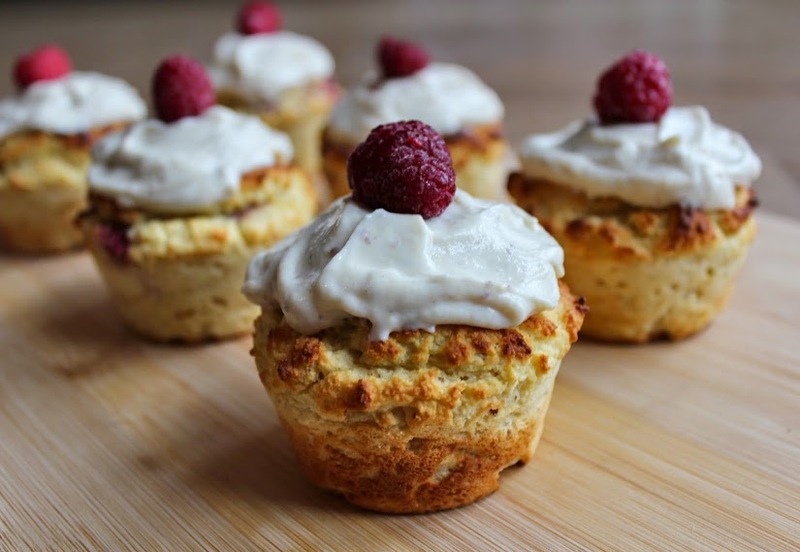 While the muffins are cooling, mix together the yogurt, whey protein and vanilla extract until thick and smooth, then chill in the fridge to firm up until needed. 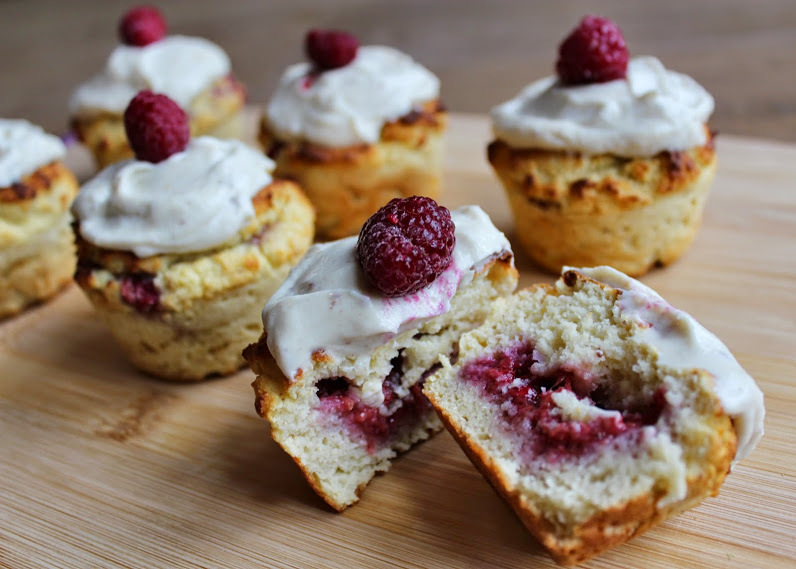 When the muffins have cooled, spread some of the vanilla mixture on top and add a raspberry to decorate. 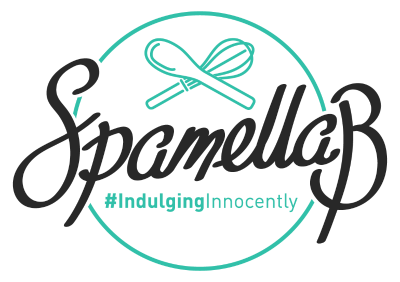 Now you’re ready to indulge innocently! Make sure you’re following Truvia on Facebook, Twitter and Instagram for more updates and recipe inspiration!